Collection of commercial debt, in South Africa. Should you Hire Professional Debt Collectors? It is almost impossible for a business to operate without a debt. For a business owner, it is usual to loan a product or money to a client, especially those you have transacted with for a considerable period. Should you Hire Professional Debt Collectors? If you offer services or products on credit, it is very likely that you will encounter a client who has an unpaid account, invoice or debt. Many businesses today have a systematic way of recovering debts. However, there are those customers who just refuse to pay. This is where professional debt collectors come in. 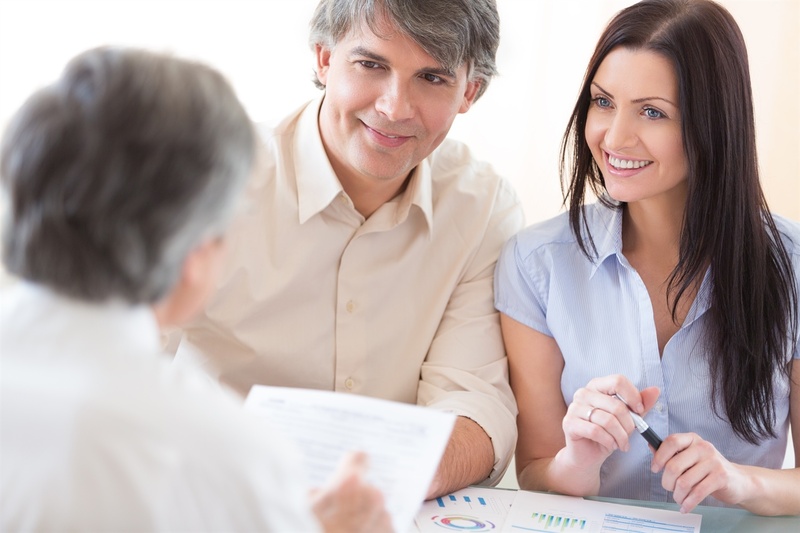 These professionals offer you a way to recover your money without costly litigation. Hiring experienced and reputable debt collectors in South Africa, such as Kredcor will save you time. This is mainly because you will not have to undergo the legal procedures to recover your money. These professionals will do all the donkey work to bring your money back. As such, you can concentrate on running the business as Kredcor strives to improve cash flow in your business. 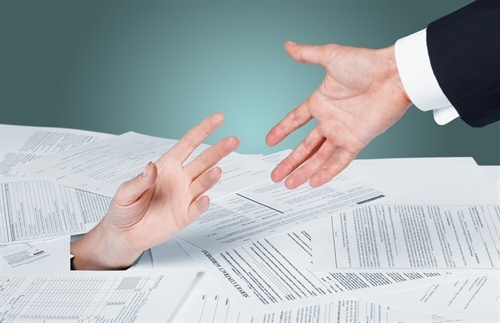 The expert debt recovery agents at Kredcor are experts in law, with regards to debt recovery. They use this knowledge to their advantage as they pursue the debt, hence guaranteed success. Hiring these professionals saves you the task of having to understand the legal procedures involved in debt recovery. Basically, the legal and court procedures involved in debt recovery can be both daunting and expensive for you. Hiring professional debt collectors allows you to bypass all these court and legal procedures and still recover your money. With years of experience in the industry, Kredcor has a team of expert and professional debt collectors using only fair debt collection practices, hence a higher chance of success in recovering your money. Hiring these professionals will ensure that you get paid fast and in an efficient manner. We understand that your business has a philosophy. Kredcor’s main aim is not to ruin the business relationship you have created with your debtors but to help you collect the money owned while maintaining a strong business relationship. Sometimes all it takes for a debtor to pay is a call or letter from a debt collection agency. When you seek the services of a debt collector, you are in actual fact outsourcing the process of assertively pursuing collection on overdue payments. At Kredcor, we have the expertise that goes beyond what you have in-house. This makes us better placed to collect your outstanding debt from your clients. In other words, we have the systems to optimize success. Hiring a debt collector does not necessarily mean that all your debtors will pay what they owe your business. While we will do our best to ensure that everyone pays, we won’t ask for our fees until the desired results are attained. In short, we are not primarily driven by the urge to make money but customer satisfaction instead. Your business can tumble down if your debtors take too long before paying. While you can collect the debts yourself, it is more advantageous if you hire professionals to collect your debts. At Kredcor, we are dedicated to helping your business thrive by ensuring your debtors pay as soon as possible. We offer tailor-made services to ensure that all your needs are fully met. Debt collectors in South Africa have developed collections models that aim at improving business to business debt recovery rate. The traditional debt collection models often lead to litigation that prevents creditors from meeting the rising needs of the commercial market. Why You Need Commercial Debt Collectors. The time is now ripe for your business to have its debt recovered for a low debtor risk exposure. You can undertake the process by hiring commercial debt collectors such as Kredcor, who adhere to the laws governing debt collection while doing their job. Commercial and corporate debt may affect the daily operations of your business. You may be tempted to spend a lot of time and money chasing the debtors to pay you. You will however avoid this hassle by hiring a commercial debt collection agency. As a result, you will have the peace of mind and time to focus on the operations of your business which is necessary for better performance. The agency has qualified professionals who act within the set rules and regulations. They will alleviate you the burden of chasing late payments as they assume the responsibility of recovering all the unpaid invoices by commercial clients from your business. This prevents possible lawsuits by debtors which may develop during the process. Outsourcing your debt collection to a specialist guarantees you that you will receive your payments faster and sooner. In additional, you will save on legal costs and stress of having recovering the debts. If your commercial client refuses to pay their debt, the specialist will connect you with reputable debt collection lawyers who will guide you on which legal action to take. Many businesses are now undertaking the necessary measures to reduce their debtor risks. Act now by hiring Kredcor commercial debt collectors. They will collect all the outstanding debts by your corporate and commercial clients. They will also compile a verified and fresh credit information for your business which will make it easier for you to take your business to the next level. When should I make use of a debt recovery agency? Need help with outstanding debt? On the one hand it’s alluring to hold on to your business debts in order to avoid upsetting consumers and also prevent paying collection costs as well as compensations. On the other hand the older a debt ends up being, the less likely you or anyone else are likely to collect on it. Hence there comes a point when attempting to collect outstanding debt yourself, will cost you more than acquiring the services of a debt collector. The age-old question then is, “Exactly how do I know when to refer an outstanding debt to a debt recovery agency?”. Now while it would certainly be nice to offer you an exact period of time the fact is this relies on both an individual debtor and also on your business. Thus, the best way to identify this limit is with a tested vibrant system. Firstly, this system must enable you to recover cash from your excellent customers swiftly and agreeably to ensure that you can increase your cashflow without upsetting excellent customers. Secondly, as well as equally as significantly, this system must accurately identify scoundrels early to make sure that you could refer these debts while they’re still recoverable. And also as debts come to be more difficult to recuperate the older they become, by referring early you’ll massively enhance your opportunities of full and speedy recovery. So Exactly what Does This System Look Like? Step 1. Friendly Reminder: To start with, once an account falls overdue you must send them a purposefully crafted Collection Pointer Letter. Step 2. Courteous Push: Should your debtor fail to either resolve this account or conversely commit to a payment program within 7 days of receiving your pointer letter then you have to call them on the phone. Step 3. Considerate Ultimatum: If they subsequently continue to evade settlement or alternatively they default a repayment installment then you send them a Last Demand Letter. If after this 2nd letter the debtor still overlooks the account then that’s all the proof you need that you’re now handling a person that has neither any sort of morals nor any sort of purpose to pay. At this point there’s absolutely nothing more for you to do apart from passing this outstanding debt to an expert debt collection agency quickly! Now if you’re old school and habitually send out a collection of of reminder letters, this rapid-fire 3 action system possibly appears heretical. However, the reality is these three interactions are all any great client needs to settle their account. Every one else presents a clear and significant risk to your company. And also if they’re a risk to your company, chances are they’re additionally a risk to dozens of other companies. I.e. if they’re having problems paying you then it’s a safe bet they’ve obtained a boodle of some others financial institutions they aren’t paying either. What’s more, if these lenders are like a lot of businesses, they lack any type of system to promptly identify and also subsequently deal with professional debtors. So while those businesses continue to sit on their behinds and also drag their heels, you’re taking early as well as persuasive action. And in a classic case of the squeaky wheel gets the oil, considering that you’re the first one to put the heat on your debtors, you’ll be the very first one they’ll pay. But much more notably, due to the fact that you’re the first in line to get paid, the chances they’ll have the methods to settle your debt are definitely higher than if you were the last level … when exactly what little funds they could have had have all been spent paying everyone else. Base Line: following this formula at the proposed times will significantly enhance the number and also speed at which you recuperate your financial obligations. It all boils down to the irrefutable fact of bad debts … the longer you remain on your debts, the more money you’ll lose. Alternatively, the faster you recuperate your debts the more money you’ll pocket.